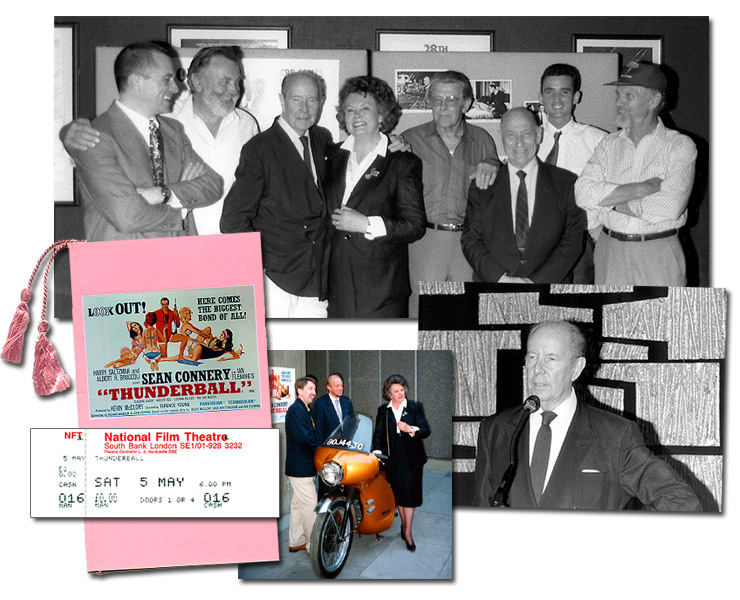 1990 marked the 25th Anniversary of the release of Thunderball, the most successful James Bond film ever made; and to commemorate the event The JBIFC arranged a special screening at London’s National Film Theatre on 5th May. This was followed by a special Anniversary Dinner at Oscar's Brasserie in Leicester Square. Special guests at both events included Thunderball Director Terence Young, stars Claudine Auger and Molly Peters, Oscar-winning special effects designer John Stears, stunt arranger George Leech, main title designer Maurice Binder and production designer Syd Cain.